In the last year, a number of people have attempted – sometimes successfully – to stow away in different areas of airplanes to catch a free ride. On Monday, a ramp agent for Alaska Airlines inadvertently became a stowaway when he fell asleep in the plane’s cargo hold, causing the plane to initiate an emergency landing after just 14 minutes in the air. CNN reports that Alaska Airlines Flight 448 from Seattle-Tacoma International Airport to Los Angeles was hardly in the air Monday afternoon when passengers and crew on the plane heard a banging noise coming from the cargo hold. Several passengers say they knew something wasn’t right with the flight as soon as takeoff began. “All of a sudden we heard all this pounding underneath the plane and we thought there was something wrong with the landing gear,” one of the passengers tells CNN. When the noise became louder and faint yells and screams could be heard, passengers said an air marshal on board made himself known. By then, the pilot had determined that someone might be in the cargo hold and initiated a turnaround and emergency landing. Once the plane was safely on the ground, a ramp agent was found unharmed in the pressurized and temperature-controlled cargo area and taken to an area hospital as a precaution. According to a statement from Alaska Airlines, the man was a contracted employee for the airline and had been working a 5 a.m. to 2:30 p.m. shift as part of a four-person team. Instead, the man told the authorities he simply fell asleep. 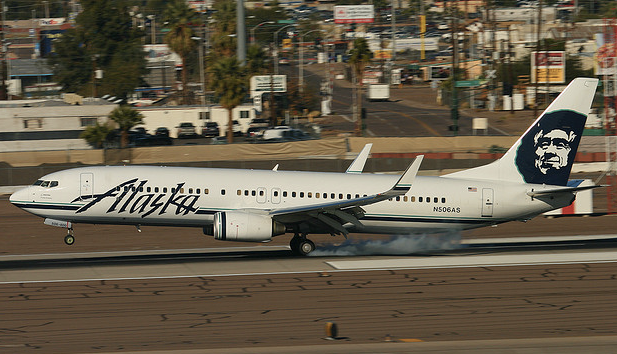 Alaska Airlines says they are continuing to investigate the incident. The flight eventually made its way to Los Angeles early Monday evening.